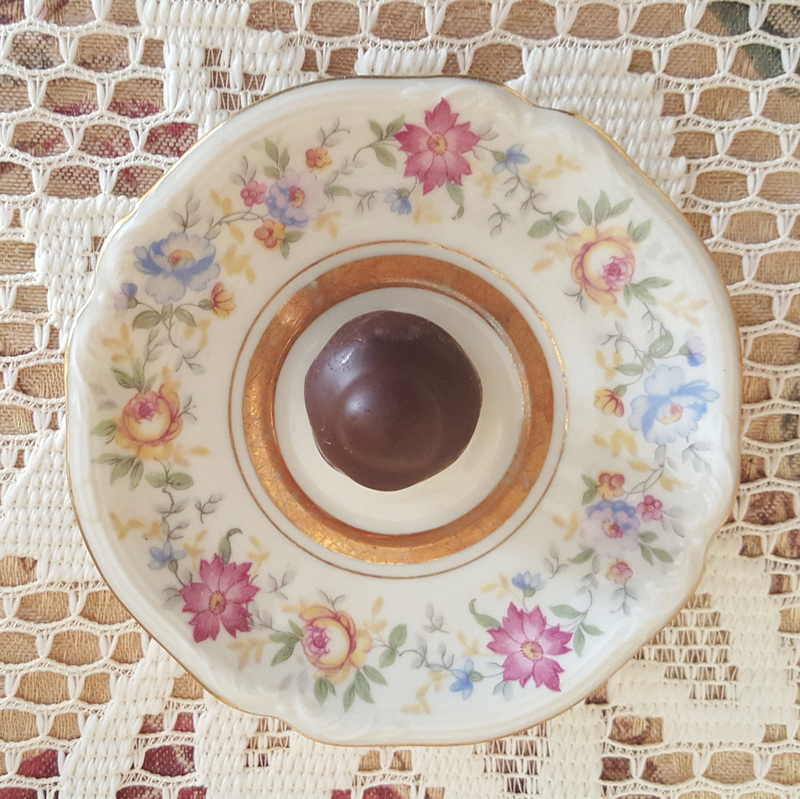 The crocus flower marks the dying of winter and the promise of spring. This past week, nearly nine months after Tristan overdosed on heroin, the first blossom appeared in his memorial garden. Nine months—the period of human gestation in darkness before birth. The crocus proved a perfect symbol. Early stories about the flower include a young man named Crocus who was a friend of the Greek god Hermes (Mercury), messenger of the gods. One day the two were playing catch with a disc. The disc accidently hit Crocus in the head and he fell to the ground. Hermes, distraught with grief about the fatal wound, turned Crocus into a flower to honor him. The crocus continues to honor others. Tristan received a crocus bulb about ten years ago when his Cub Scout den leader, Mike, passed from cancer that consumed his brain. And a few years ago, like Crocus, my son Tristan was wounded in the head with the disease of addiction, a brain disorder that robs people of the ability to make healthy choices. Now his hard, dark night of addiction is over. I believe he resides on the Other Side, resurrected, at peace. Last fall, Rebecca Woods came over with a bag of crocus bulbs and helped me plant them, and Mike’s crocus bulb, in my son’s memorial garden. The first crocus to spring up is the color of amethyst, a stone noted for healing properties. As for my son, and my own grief, there is new life beyond the cold of winter. The crocus heralds the dawning of our spring. Plant some crocus bulbs next fall and watch for them during the winter. They can be a wonderful surprise, even in the dead of winter. The remembrance of Thee is a healing medicine to the hearts of such as have drawn nigh unto Thy court. While the Divine provides healing medicine to our hearts, cancer patients still often need the healing medicine of basic scientific research and clinical trials to heal the rest of their bodies. These cost huge amounts of money. Now we can bring the healing medicine of our hearts to the heArt of healing. An organization for a rare type of uterine cancer is conducting an art auction to raise funds for medical research. Research done in the past literally saved my life by discovering a few chemotherapies that can slow the growth of uterine sarcomas. Yet after three types of combined chemotherapies for two years, I was sent home to get my affairs in order… because there were no more medical options available to me. Had I not healed my life during those two years, and been so supported by others, I would be long gone by now. Hundreds of uterine sarcoma patients live on the edge with this aggressive disease. They need new options to keep going. 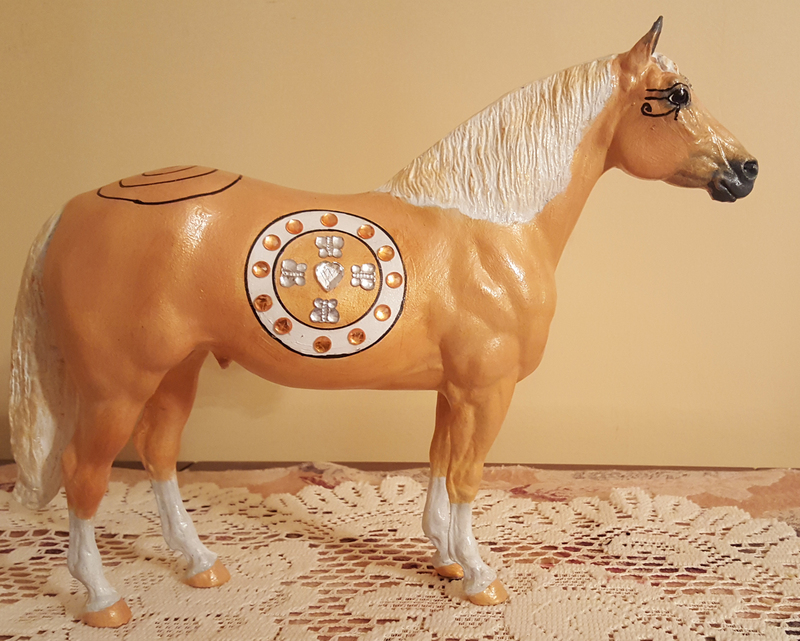 To assist with funding research, I have donated a golden Bright Spirit Horse with hearts in sacred geometrical designs to the heart-themed art auction. The organization conducting the event is LMSdr, which stands for Leiomyosarcoma Direct Research. While I did not have a leiomyosarcoma, I received the treatments used for those who have leiomyosarcomas. Their healing medicine gave me time for my heart-healing medicine to take effect and save my life. With your help we can all make a difference. Thank you! Prayers and Meditations, by Baha’u’llah, trans. by Shoghi Effendi. Baha’i Publishing Trust, Wilmette, Ill, ninth printing, 1996, LV, p. 58. Those who are devoted to the perfection of wisdom should expect therefrom many advantages here and now…. Those devotees will not die an untimely death, nor from poison, or sword, or fire, or water, or staff, or violence. One advantage of the perfection of wisdom in an individual is an alertness to bodily changes that are sending a signal: something is amiss. That could easily include cancer. And cancer needs to be dealt with immediately. A friend just sent me an email because three people in her life are now dealing with cancer—including a young man at the prime of life with the disease spread to distant organs. It’s terrifying and overwhelming. How I wish we could stop—even prevent—this terrible disease. Cancer is a scourge. 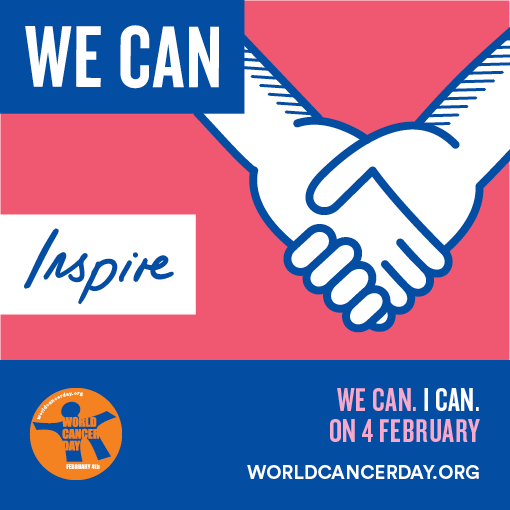 Currently, 8.2 million people pass from cancer worldwide every year, according to http://www.worldcancerday.org/. The event aims to raise awareness and educate people about cancer. Please. Inspire yourself to do all you can to prevent cancer. Perfect your wisdom, in part, by keeping alert for symptoms. And if it strikes, do all you can to regain your health. You are worth it, and it will save others from the devastation of losing you. Conze, Edward, trans. The Perfection of Wisdom and Eight Thousand Lines and Its Verse Summary. Bolinas, California: Four Seasons Foundation, 1975, pages 109-110.